Probate is commonly known as the process of dealing with, or ‘administering’, the estate of a deceased person. The probate process in England & Wales is relatively simple and straightforward, unless a dispute arises or the estate is complex. Probate also has a legal meaning: it is the legal authority to prove and administer the last will of the deceased. The individual(s) dealing with probate have, in most instances, a grant of probate. This is a court document confirming his or her legal authority to deal with the estate in accordance with the deceased’s will. Administration also has a legal meaning: it is the legal process of dealing with the estate of someone who dies without leaving a will. The individuals who are dealing with probate and estate administration are commonly known as the personal representatives. They are responsible for ‘calling in’ all money and assets left by the deceased, paying any debts and taxes, and distributing what is left – either under the terms of a will or, if there is no will, under the intestacy rules which govern who gets what. In this legal and practical guide to probate, we provide clear and concise answers to the top 17 most frequently asked questions to administering an estate in England & Wales, with explanations of what should happen both when there is a will in place and when there is no will. For succession/estates in Scotland see our Scottish legal guide here. What Will This LEGAL & PRACTICAL Guide TO PROBATE Cover? Will I need a grant of probate? How do I apply for letters of administration? What are letters of administration (with will annexed)? What is the process of administering the estate? How long does the probate process take? Is it fast? What happens if the deceased had debts? Probate is the legal process of dealing with and administering the last will of the deceased. The executors are the individuals legally appointed as executors in the will and are the only people who have legal authority to deal with the estate. The executors will (unless it is a small estate) need to apply to court for a grant of probate, which is a court document confirming their legal authority to deal with the estate in accordance with the will. 2. What Is an Executor? An executor is the individual or individuals appointed by the deceased in the will to deal with the estate on his or her death. (For the purposes of this guide, we refer to executors in the plural.) Executors have legal and administrative duties to perform. They are trustees of the estate and owe duties to other executors and to the beneficiaries. That said, acting as executor is generally not an onerous task. Executors are often close family members or close friends. Sometimes a solicitor or firm of solicitors, or a bank are appointed as executors. Legally, up to four people can be executors of a will. 3. What Is a Grant of Probate? A grant of probate is a court document issued by the court confirming the executors’ legal authority to deal with the estate in accordance with the deceased’s will. 4. Who Can Apply for a Grant of Probate? Where executors are appointed in the will, and they have survived the deceased and are still willing to deal with the probate of the estate, it is they who have the right to apply for the grant. If no executors are appointed, or named executors have died before the deceased, the closest relative of the deceased has the legal right to apply for a grant of probate. If the named executors are unable or unwilling to act as executors, they must ‘renounce’ probate. In such instances (and no other executor is left), the closest relative of the deceased then has the legal right to apply for a grant of probate. Those named in the grant of probate are legally responsible for the administration of the estate and correct distribution of the estate between the beneficiaries. 5. Will I Need a Grant of Probate? Not necessarily. If the estate is very small, and valued at less than £15,000, a grant is not required, and assets can be accessed with production of the death certificate instead. If the estate is larger than this, then a grant of probate will be needed. 6. How Do I Apply for a Grant of Probate? You can either employ a probate solicitor to do this on your behalf, or you can do it yourself. You will need to complete and submit a probate application form and an appropriate inheritance tax form to the Probate Registry. Both are available to download from the HMRC website. Alternatively, they can be obtained from your local Probate Registry. IHT205 should be used if you do not expect there to be any inheritance tax liability. The current threshold is £325,000. IHT400 which should be used if you do expect inheritance tax to be payable. Additional forms will also be required. You will then be sent an ‘oath for executors’ which must be sworn at a solicitor’s office, a commissioner for oaths or a local probate office. The executors’ oath is effectively a promise that the information an executor provided about the estate is true to the best of their knowledge. Once this has been completed and sent, the Probate Office will send you the Grant of Probate within around 10 days. The executors must produce the original or a certified copy of the Grant before assets can be released to them. If the deceased died without leaving a valid will, the legal process of dealing with the estate must be dealt with and distributed to beneficiaries according to the rules of intestacy. The estate will be dealt with by an administrator (or administrators) who will apply for letters of administration (unless it is a small estate of less than £15,000). Letters of administration are a court document giving the named individuals legal authority to deal with the estate of someone who has died without a will. Without it, they have no legal right to deal with the estate. 8. Who Can Apply for Letters of Administration? 9. How Do I Apply for Letters of Administration? In the same way as an application for grant of probate (above). However, once you have received the forms from the Probate Registry you will be asked to attend a short interview at the Probate Registry to confirm that the details in your application are correct. The letters of administration will be sent shortly after the interview. The administrators must produce the original or a certified copy of the letters of administration to the bank and other institutions before assets can be released to them. 10. What Are Letters of Administration (With Will Annexed)? Sometimes, the deceased leaves a valid will which either does not appoint any executors, or the executor(s) appointed are unable or unwilling to act as executors. In such cases, application for letters of administration with the will annexed will need to be applied for. The individual or individuals who have the right to apply are the same as above in the case of letters of administration. In this case, the administrators appointed must deal with the estate in accordance with the will. 11. Who Are Personal Representatives? The personal representatives (PRs) are the executors appointed either under the will and named in the grant of probate, or the individuals appointed by letters of administration to deal with the administration of the estate. For the purposes of this guide, we now refer to executors and those dealing with administrations collectively as PRs. 12. What Is the Process of Administering the Estate? The PRs must establish what assets and liabilities the deceased left. This can be complex if the estate is large, involves assets abroad or where assets cannot be traced. The PRs will need to produce the grant of probate or letters of administration to access the assets. Assets must be called in within a year of the deceased’s death. It is helpful to contact the deceased’s accountant (if he or she had one) to assist in collecting in assets and liabilities. You will also need to access utility bills, council tax accounts, and similar to find out what liabilities there are. Where appropriate, the PRs should notify the deceased’s tax office of death and ensure any required tax returns due to the date of death are completed. If the estate is small a grant of probate or letters may not be required to access money. If, for instance, an asset is less than £15,000 the bank or financial institution may release funds if the PRs sign a document confirming they are entitled to the money, and on production of the death certificate. Where there is money held in joint names of the deceased and another individual, the account can be automatically transferred into the survivor’s sole name on production of the death certificate. The PRs must settle any debts left by the deceased, including inheritance tax. There may be other tax implications (see below). Once the assets have been gathered in and debts, costs and other liabilities paid, the PRs will pay all cash legacies and pass on specific gifts made to the beneficiaries named in the will, or according to the statutory rules of intestacy. The ‘residuary estate’ is everything left and will pass to the residuary beneficiary named in the will, or in accordance with intestacy rules. When the estate has been finalised, the PRs will usually need to prepare estate accounts. These accounts set out all assets collected in, all debts, expenses, tax and other liabilities paid out, and how the net estate has been distributed amongst the beneficiaries. 13. PROBATE iN uk - How Long DOES It Take? IS IT FAST? The speed of the probate process in the UK is very subjective. It depends on the size and complexity of the estate, whether there is inheritance tax due, the nature of the assets and whether there are any disputes. Simple estates can take 8-10 weeks, while other estates can take a year or more. Dealing with dependency claims: in some circumstances certain close relatives, partners, or people who were financially dependent on the deceased have a legal right to claim against the estate for reasonable financial provision. Potential claimants have six months from the grant of probate or letters of administration to make a claim. 14. What Happens If the Deceased Had Debts? The rights of creditors rank higher than the rights of the beneficiaries. The PRs must pay off any outstanding debts out of the deceased’s estate before the beneficiaries receive a share. In situations where the debts exceed the value of the estate, the estate is insolvent. This means there is insufficient money to discharge the debts and not all creditors will be paid in full. If any beneficiary is paid out of the estate to the cost of a creditor, the PR may be personally liable to refund the money back to the estate. The creditors will be ranked in accordance with legal rules setting out their order of priority. The subject is beyond the scope of this guide and if you believe you are involved in an insolvency estate you should seek legal advice. This is particularly important if you are a PR. A PR of an insolvent estate has a duty to act in the best interests of the creditors of the deceased, rather than the beneficiaries. 15. What Are the Tax Implications? The PRs have a duty to settle the deceased’s own tax affairs up to the date of death. Tax owed by the deceased at the date of death is considered a debt on the estate and must be paid out of the estate. Inheritance tax may be payable on an estate on death. Whether or not inheritance tax is payable depends on the value of the estate. There is a threshold under which no inheritance tax is payable – currently £325,000. If the estate is worth more than £325,000 at the date of death, inheritance tax is payable at the rate of 40% of the amount exceeding £325,000. The PRs must establish early on whether inheritance tax might be payable. They must determine the total value of the assets, taking into account any exemptions that may apply (see below). In addition, they must take into account any lifetime gifts made by the deceased in the seven years prior to death. Certain gifts made in this period before death may attract inheritance tax, depending on its value, to whom the gift was made and how recently. Payment of inheritance tax is the responsibility of the PRs, and it must usually be paid within six months of the end of the month in which the deceased died. After this, interest is charged on the amount outstanding. The PRs must pay income tax and capital gains tax arising during the course of administering the estate. Income tax on estate income is payable at the basic rate of 20% and capital gains tax at 28% on gains. Whether a gain has been made on the sale of an asset is calculated with reference to the value of the asset as at the date of death. PRs can claim certain tax exemptions and reliefs. They can claim, for instance, an annual capital gains exemption, but this is only applicable to the PRs as one entity, not for each PR. Where there are tax liabilities, the PRs are responsible for filing appropriate tax returns in time. Nil Rate Band: the NRB is the first £325,000 worth of assets upon which no inheritance tax is payable. Spouse/civil partner exemption: assets and property left to a spouse or civil partner are exempt from inheritance tax (no inheritance is payable). Charitable gifts: gifts made in a will to a registered charity are exempt from inheritance tax (no inheritance is payable). Gifts for the maintenance of a family member: where the deceased’s will provides for reasonable maintenance of a child under 18 (or over 18 and dependent on the deceased), the gift is exempt from inheritance tax. Potential exempt transfers: cash sums given to, for instance, family members are tax free if they took place more than seven years before death. If the gift was given within seven years, some inheritance tax may be payable but the amount decreases the longer the time period between the gift and the date of death. Annual exemption: you can gift up to £3000 every year tax free. Any shortfall can be carried over to the next year’s £3000 exemption. Small gifts: cash gifts of up to £250 each to any individuals may be given tax free. Gifts in consideration of marriage or civil partnership: parents can give a child £5000 as a wedding gift (or on a civil partnership); and grandparents can give £2500 without incurring potential tax liability. Cash gifts in other cases of up to £1000 can be also made. Normal expenditure out of income: for instance, life insurance premiums and gifts at Christmas or birthdays. Business property relief: if the deceased owned shares in a private company or interests in a partnership, up to 100% business property relief may apply. Agricultural property relief: if the deceased owned agricultural land up to 100% relief may apply. Inheritance tax is a complex area. If you think it may apply to your circumstances, take specialist advice. 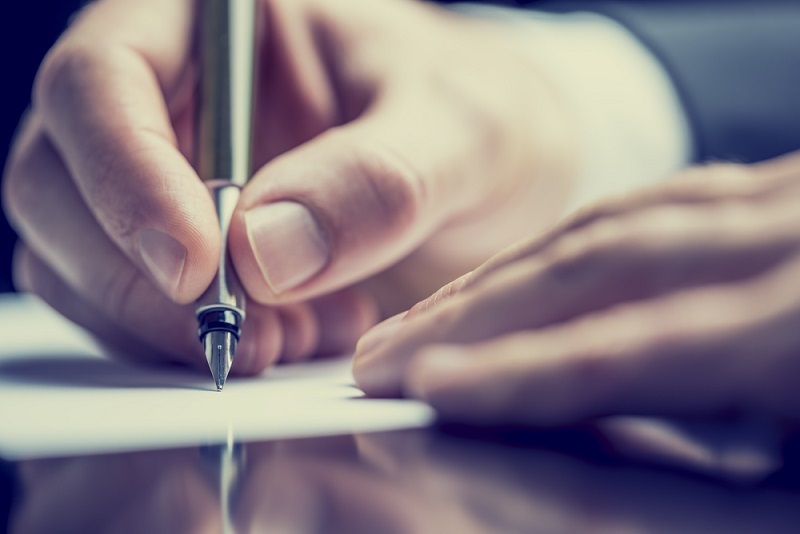 Disputes involving wills and estates are increasingly common. If the will is contested or the estate is challenged, it potentially causing distress to already grieving relatives and can drastically lengthen the administration period of the estate. There is a dispute concerning property. 17. How Much does probate Cost? The cost of probate in the UK depends whether or not solicitors (or other professionals) are involved. Costs can also vary depending on how solicitors charge for probate work. Many charge a percentage of the estate, together with an hourly rate for work done on behalf of the estate. Others charge simply on the basis of time spent. Need advice from a specialist probate solicitor? Contact us here.